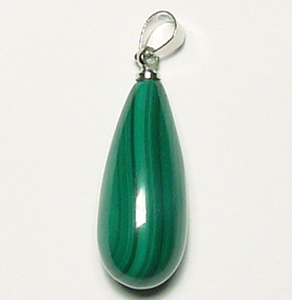 Malachite is a popular stone which has light and dark green banded areas. Its powers include: protection, power, peace, love, and success in business. It is worn to detect impending danger, and is assumed to break into pieces when danger is near. It is the guardian stone of travelers.